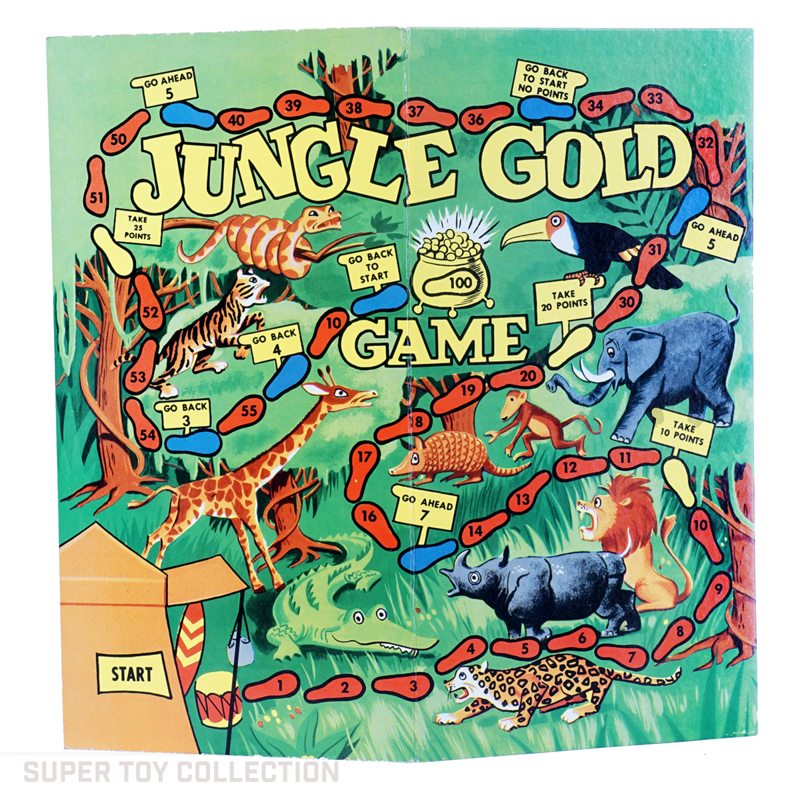 This is a rare board game produced by Built Rite. 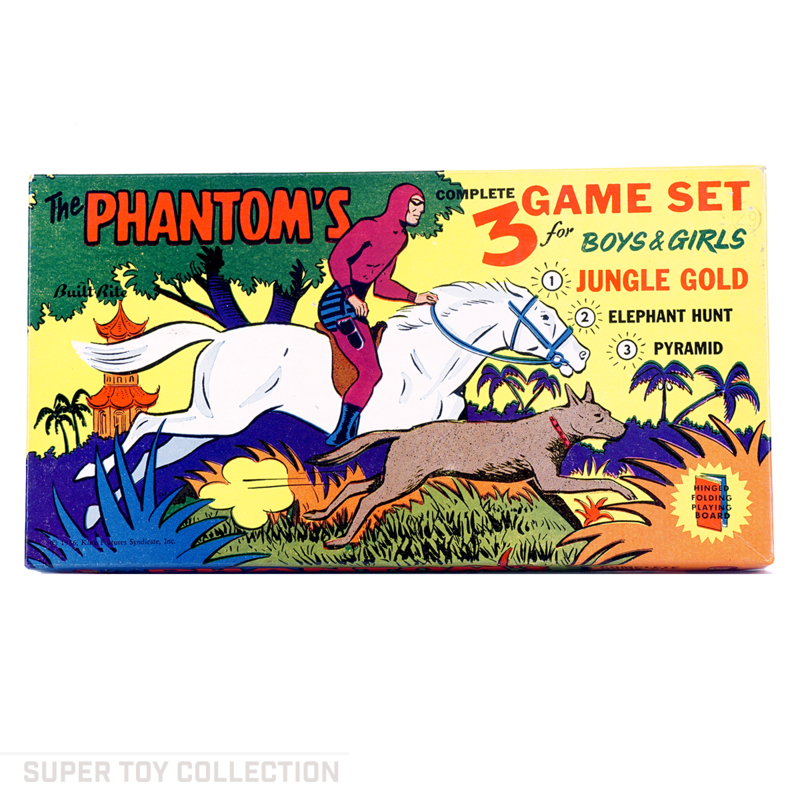 The Phantom’s Complete 3 Game Set for Boys & Girls includes three games: Jungle Gold; Elephant Hunt; and Pyramid. The colorful box lid features comic writer Lee Falk’s 1930’s hero in his hooded purple body suit, striped shorts, black boots, and mask, riding his faithful steed, Hero. 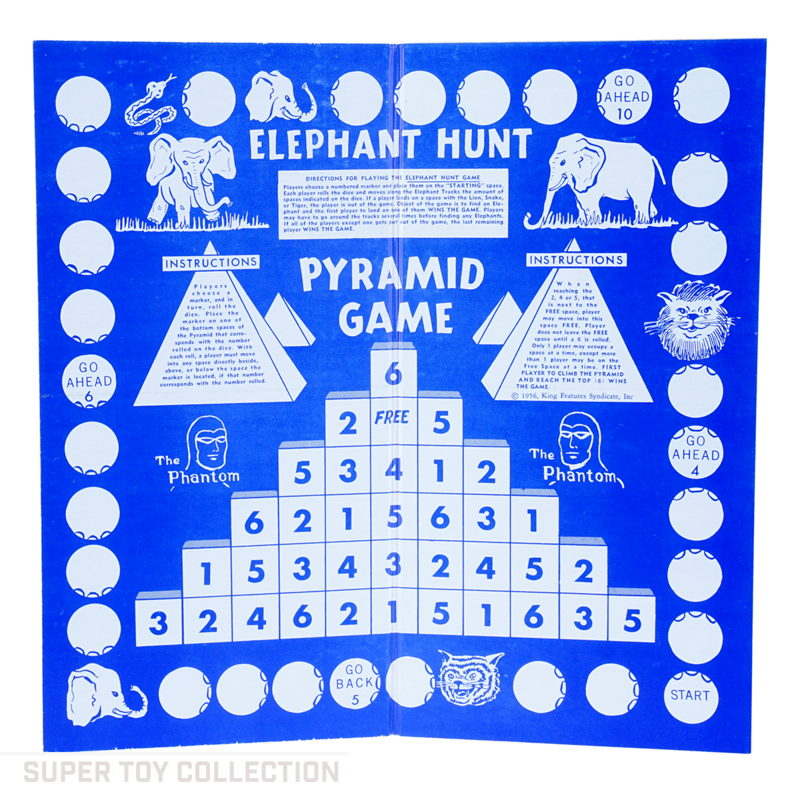 The playing board is printed on both sides — the Jungle Gold side is full color, and the side with Elephant hunt and Pyramid is printed in just blue ink. 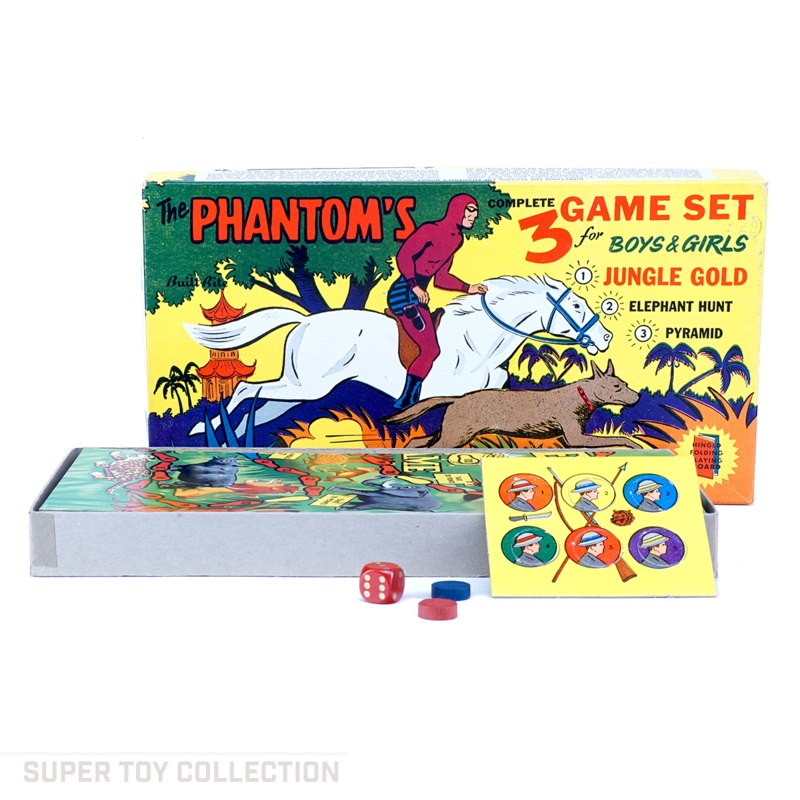 The game includes a wooden die, two wood discs, and a cardboard sheet with six punch-out discs.